It’s a small idea that’s been slow to catch on in traditional caravan circles, but size – or lack of it – has many benefits for Aussie travellers. 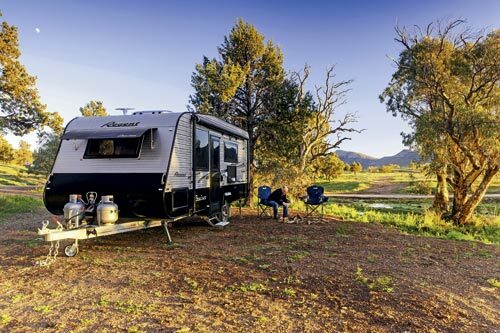 Packing all of today’s luxury features into a sub-2t caravan saves space in your driveway and is better for your wallet, too, greatly broadening your choice of tow vehicles, or perhaps saving you the cost of upgrading. 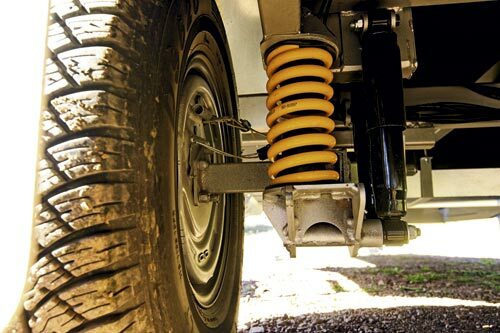 And if you can get everything you want safely on a single-axle chassis, you gain added manoeuvrability, two less tyres to wear out or puncture, lower your rig’s unsprung weight and reduce its rolling resistance, further boosting fuel economy. Sounds like a winner. 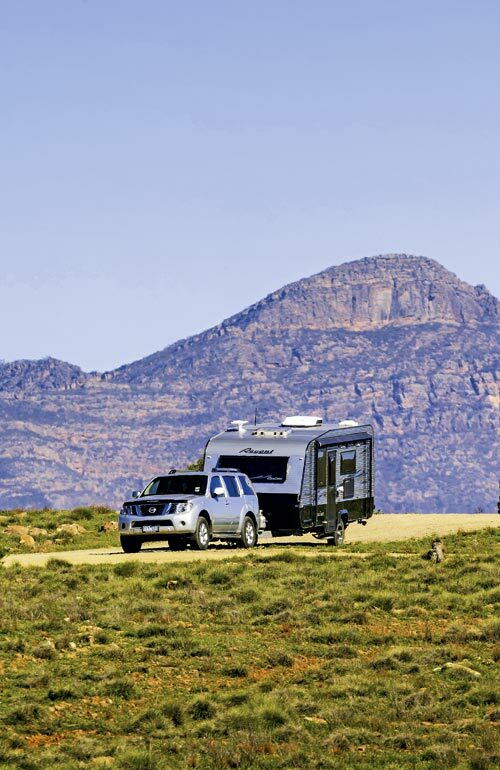 That’s the business case behind the new 18ft 6in (5.65m, internal length) single-axle Regent Cruiser that we took on a five-day test from Adelaide into outback South Australia and through the Flinders Ranges, sparing it nothing on both sealed and unsealed surfaces. 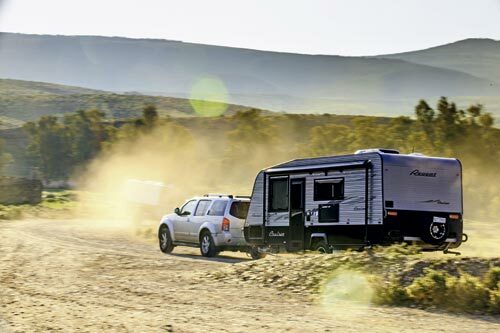 The single-axle Cruiser is the shortest model in the seven-model Regent range that has emerged since the 30-year-old brand was resurrected last year from insolvency by the Caravans Australia Group. The group also includes Austrail chassis, Australian Legacy and British Bailey caravans in its expanding product portfolio. It’s the first and only single-axle Regent built and also the first caravan in Australia to be equipped as standard with Vehicle Components’ new Cruisemaster CRS (Country Road Suspension) as standard, with buyers given the option to upgrade to the Cruisemaster XT offroad independent suspension if they are planning to spend a lot of time on badly corrugated surfaces. Regent is also currently working on a (cheaper) single-axle leaf-spring-and-shocker package for the 18ft 6in Cruiser to pare its price below its current $63,800 RRP. Other tandem-axle Regents will continue to be built with traditional ‘I beam’ axles and leaf-springs as standard, but can be fitted as an option. 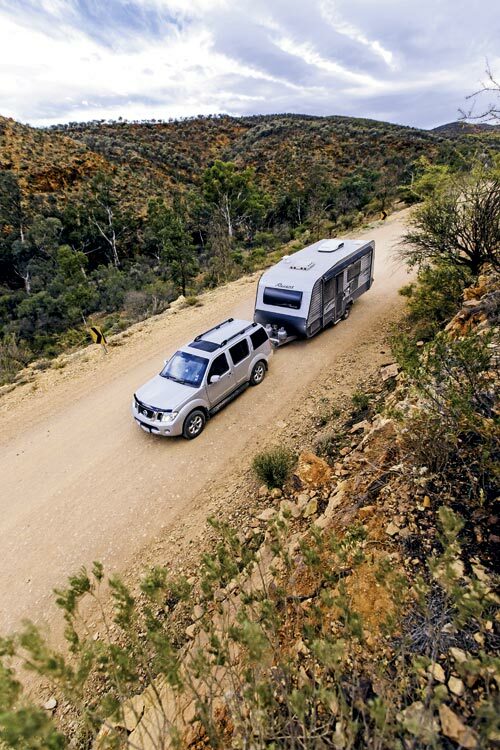 Built on a strong and beautifully-finished robotically-welded Austrail RV chassis that boasts attention to detail such as enclosed chassis endplates, beautiful seam welds, abrasion-free tracts for the handbrake cables and hooks to hang safety chains off the ground when not in use, the Cruiser, like other Regents, employs a 42x19mm screwed, glued and insulated meranti timber frame clad with (optional) silver ribbed aluminium on the roof and upper body. Black Alucabond lower side cladding, black checkerplate up front and matching black roll-out awning, door, drop-down picnic table and alloy wheels set off an imposing package. There’s no front boot as such, but the large tunnel boot swallows all the usual hoses, cables, awning mat and other hardware. It’s a smart, albeit traditional-looking caravan that requires a second take and some quick axle-counting to distinguish it from its tandem-axle brethren, but Regent’s loyal band of around 10,000 former and current customers will be impressed. If there’s a doubter, simply invite them inside, open any cupboard and see their eyes light up when they see the marque’s signature piano hinges. 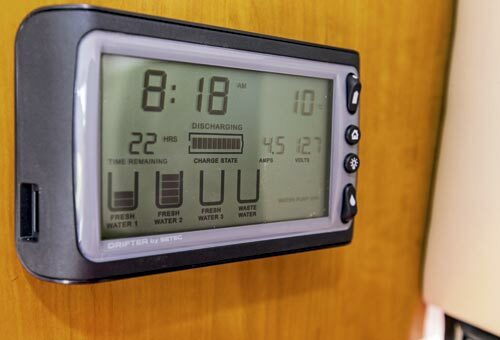 It’s a small but significant point of difference that Caravans Australia has continued on the latest Regents to reassure the brand’s faithful. 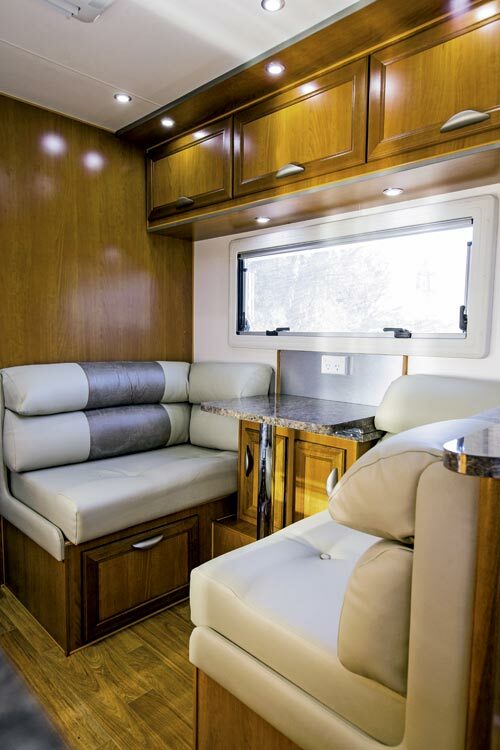 It might be shorter than its 19ft 6in, 20ft 6in and 21ft 6in Cruiser and Monarch tandem-axle brothers, but the 18ft 6in Cruiser doesn’t miss out on any of their major features. Sure, there’s not as much towel-swinging room in the rear ensuite, which is separated from the kitchen/dining area by a thick wooden sliding privacy door, but everything you could want is there: a swivelling Thetford cassette toilet, separate china bowl washbasin in front of a large vanity mirror, a top-loading washing machine to its left and a large separate shower cubicle. 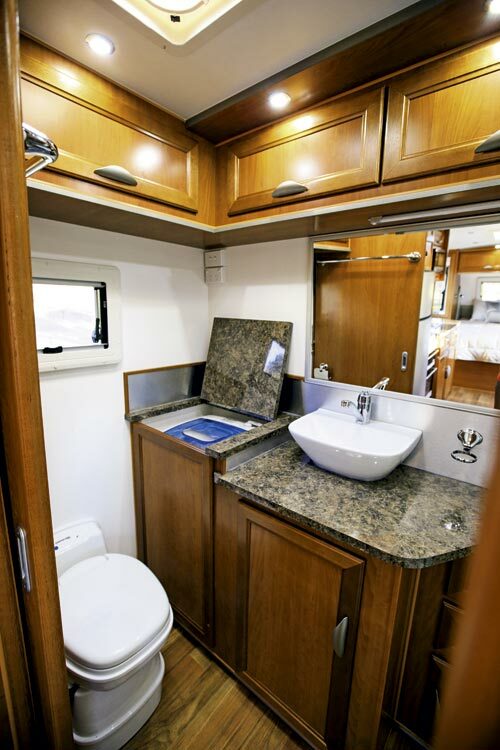 The same creature comforts are fitted to the largest range-topping Monarch model, but their ensuites are roomier. 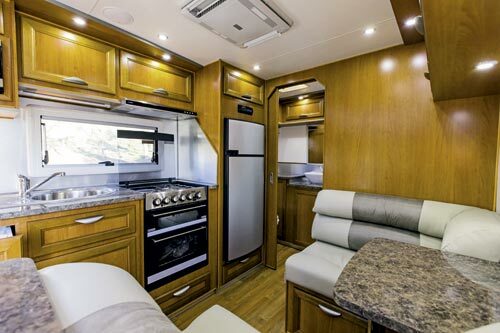 The single-axle Cruiser wins back some living space thanks to the fact there is less wheelbox intrusion, meaning more leg space in the café-style dinette, with its tri-fold table, and more room for storage under the kitchen. This is welcome, as the Cruiser’s compact dimensions mean everything else is slightly downsized in comparison to its Regent brothers. 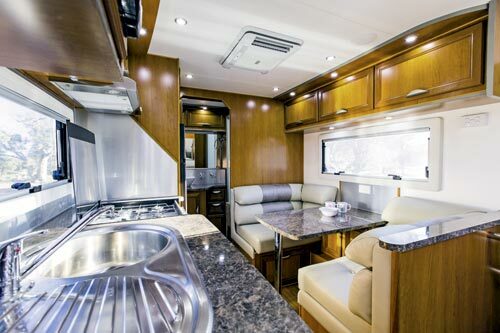 While the kitchen is equipped with a four-burner cooktop, with separate grill and oven below, and a microwave to the left above the large sink and drainage area, actual food preparation space is on the small side. On the plus side, there are plenty of cupboards, both overhead and underneath the kitchen and dinette. 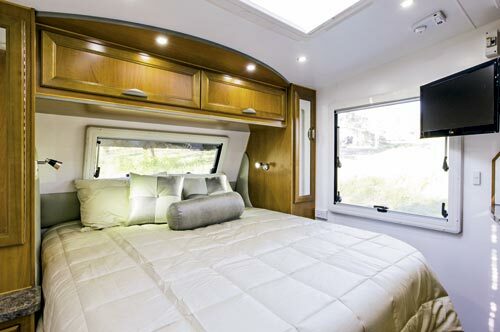 The bedroom at the front of the van and to the left of the centre-entry door is also a good, workable space, with a queen-size bed with partitioned storage beneath, mirrored wardrobes on each side and two large storage cupboards above. Large double-glazed Dometic windows and a large roof hatch shed plenty of light inside – just as well, otherwise the dark-toned timber furniture and floor fitted to the test van could look a little gloomy. Heating and cooling is taken care of by the roof-mounted reverse-cycle air-conditioner. Overall, it’s a proven, conventional layout that worked well in the compact Cruiser. During our extended test, it proved very liveable. The Cruiser towed very confidently behind our Nissan Pathfinder 550, sitting squarely in the road and riding the bumps with no tendency to hop or skip on corrugations or cattle grids. By the time you read this, any 18ft 6in Cruiser you buy should cope even better. As part of stage two of its development program for the entry-level Cruiser, Regent has been looking at ways to make it even lighter, without any loss of strength, with a target Tare of less than 1800kg. That will make it even more comfortable behind 2WD family cars, such as the latest VF Commodore Sportwagon. 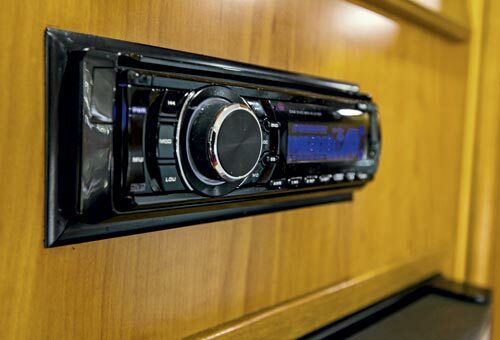 Al-Ko ESC was not fitted to our review van, which was a pity, as it would have completed its very comprehensive spec list, but it is available as a $1000 option on all Regent models. Originally published in Caravan World #519, October 2013.